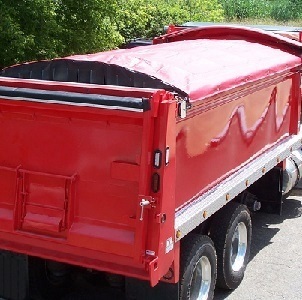 LoAlbo Enterprises offers accordion style cable tarp systems for dump trucks and dump trailers or any open top container from the industries top manufacturers including; Aero Industries, Merlot Mfg., Mountain Tarp, Pulltarps, and Shur-Co. Great well-known industry names like Panel Tarp, Crank-n-Go, Tarp-n-Go, Top Slider, Single Cable Super Slider and Shur-Trak lead the way in advanced tarping technology and cable style tarp system load containment solutions. Cable tarp systems provide load containment options from anti-pollution mesh to semi-waterproof vinyl to over-the-side vinyl tarp systems. Several configuration options are available such as manual drive or electric tarp motors, flat or arch support bows, regular or extended rear idlers/pulleys, metal or molded plastic bow ends and a variety of front shaft mounting arrangements. Applications from 10’ to over 50’ for any dump body or open top container. 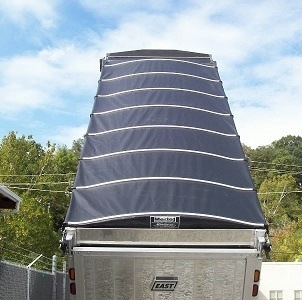 Custom sizes can be manufactured to meet unique applications such as oversized vehicles or special covering requirements. 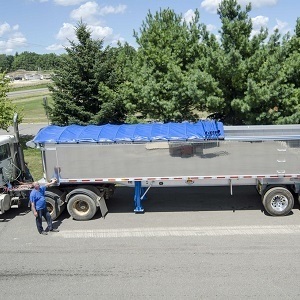 Cable tarp systems are a great option for a variety of applications, including; sand and gravel, asphalt, construction, sewage, refuse/garbage, grain and other agricultural products. 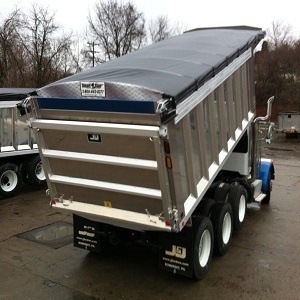 LoAlbo Enterprises, Inc. is well positioned to meet every possible truck tarping application you can come up with! 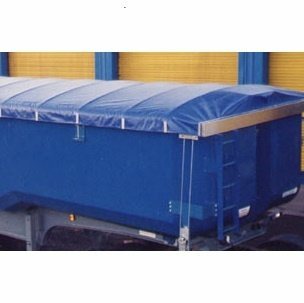 With truck tarp systems and load containment solutions from the best manufacturers in the United States we can configure an accordion style cable tarp system or any flip tarp system, roll-off tarp system or pull style tarp system for your exact application. 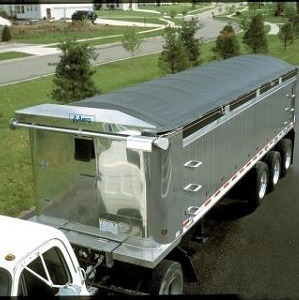 Check out our tarping systems manufacturers and tarp system options at the following links… Aero, Donovan, Merlot, Mountain Tarp, Pioneer, Pulltarps, Roll-Rite, Shur-co and Tarping Systems, Inc.
View all of our cable tarping systems for dump trucks and dump trailer from the cable tarp system options above. Have a question? 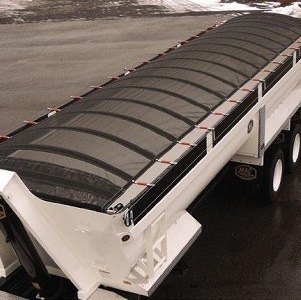 Need more information about Cable Tarping Systems, cable tarp systems dump trucks or any truck tarping systems Call Dan LoAlbo at 757-615-4379.